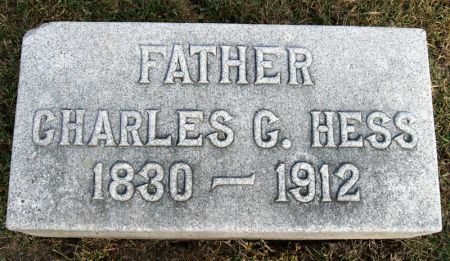 Charles Conrad Hess was born June 1, 1830 in Grotzingen, Baden, Germany and died June 22, 1912 at Seward, Seward Co., Nebraska. He married Mary Elizabeth Johnson Nov. 10, 1867 in Taylor Co., Iowa. Obituary available Taylor County, Iowa gen web site. Searching for CHARLES CONRAD HESS in Taylor County Iowa?